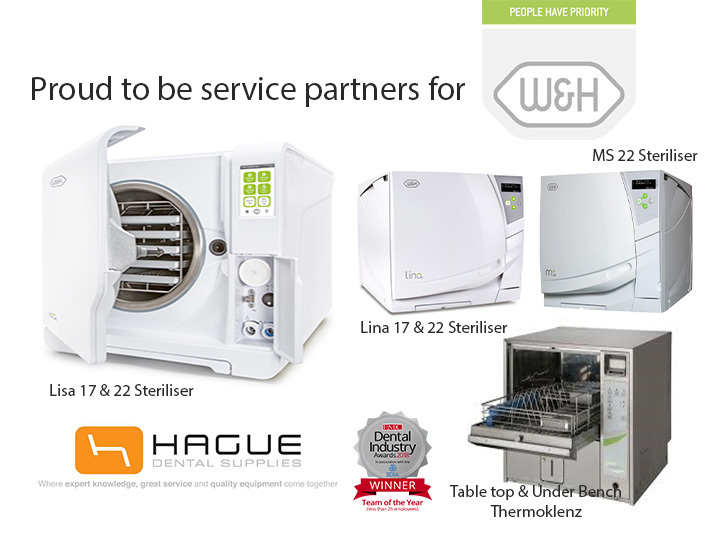 Hague Dental are delighted to inform you that we are now certified partners to service all W&H decontamination equipment in the UK, including the Lisa 17 & 22, Lina 17 & 22, MS 22 Sterilisers and Thermoklenz Washer Disinfectors. At the end of 2018 the team at Hague decided to invest in all its technicians being trained to service and repair W&H’s range of decontamination equipment. We now have 8 engineers who are not able to supply and install you with these world leading decontamination units, but also provide PPM (pre-planned maintenance) and PSI’s (Pressure Vessel Testing). Speak to Estelle and our Customers Service Team on 0800 298 5003, option 1, or fill in this form on this page to request your quotation today. Service you would like a quote for?